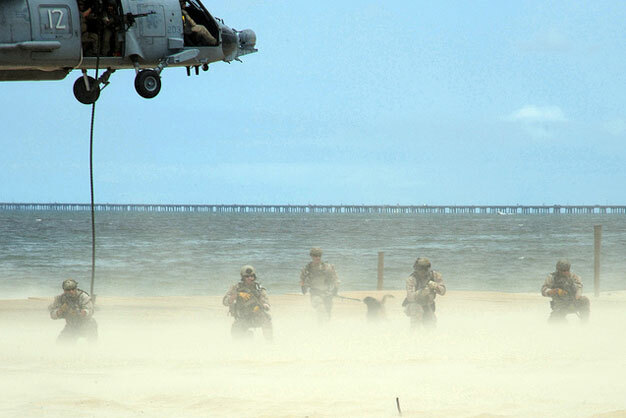 Navy SEALs conduct a capabilities exercise at Joint Expeditionary Base Little Creek-Fort Story during the 43rd annual Underwater Demolition Team (UDT)-Sea, Air and Land (SEAL) East Coast Reunion. The annual reunion started in 1969 and has expanded into a weekend of events, contests, and a SEAL capabilities exercise. US Navy photo by Mass Communication Specialist 2nd Class William S. Parker.